It all started so well. While Conduit was not accepted into GNOME 2.24, it was blessed as an external dependency for this cycle. That is great news for online service integration, and synchronization on the GNOME desktop. Congratulations to everyone who has helped me work on Conduit over these years, and well done to those who made it into the release set. I was also able to make a 0.3.13 release incorporating those fixes and UI improvements I discussed last time around. After that things started to get worse. The disk holding my /home partition crashed. Taking a whole bunch of stuff with it. Like a good geek most of it was backed up or in a RCS, with the exception of my SSH key. FAIL. This meant I was unable to make the now customary Conduit x.x.x.1 brown paper bag release in time for the GNOME release. I do owe many thanks to our amazing sysadmin, Olav, for getting my new key onto the GNOME servers in a matter of hours. The disk crash took with it a week+ of my SOC work, making me very angry. To calm the tempers I thought I would work on the conduit-gio branch. Unfortunately I am not certain if this has much chance of success. I seem to have hit a regression/gvfs bug #547133. 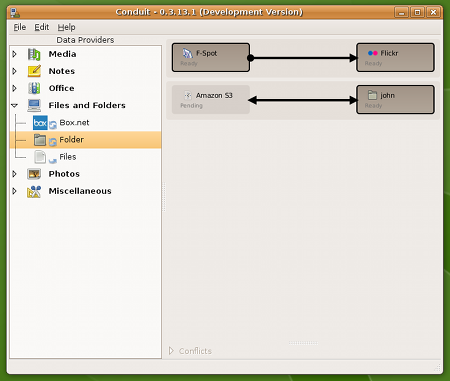 Then Christian Schlotter contributed a really nice Conduit dataprovider which supports sync/backup to Amazon S3. But this too seems blocked by a gvfs bug #547020. I then realized the implications of Webkit not being blessed as an external dependency. It means that I have two choices. Continue to drag around the pain that pthon-gtkmozembed brings, or move to using the unreleased (Py)WebkitGtk. I really encourage the WebkitGtk and PyWebkitGtk teams to make stable releases ASAP, to ensure they get into $DISTRO. Then I found that I could not push to bzr-playground.gnome.org anymore. It appears that it did not pick up my new SSH key. And loggerhead source code browsing is broken there. Completely fed up with software, I thought I would play with my new hardware toy. This is destined to replace the terrible, unsupported mess that was the Phytec phyCORE LPC3180 module for the purposes of my PhD work. But then the FAIL continued. 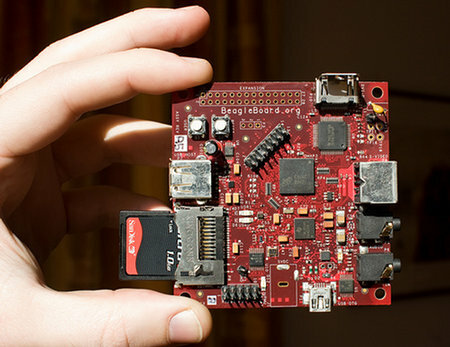 http://www.openembedded.org has been down for the last 5 days, making it impossible for me to check out the openembedded tree that supports this board. Does anyone know why it is down?